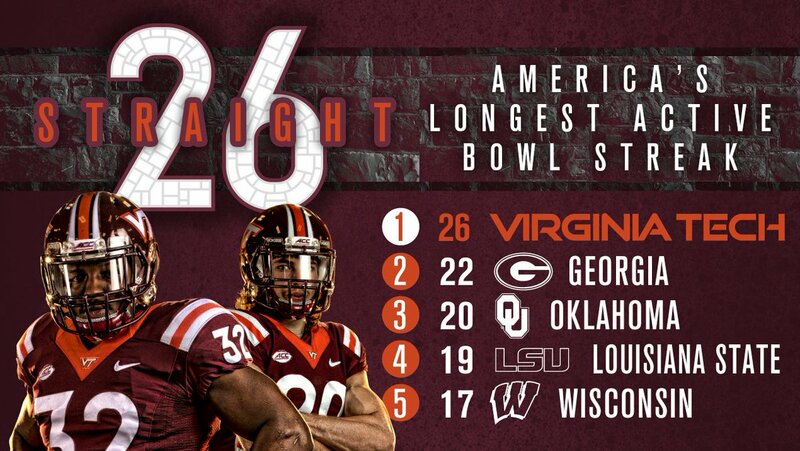 BLACKSBURG, VA – The Virginia Tech Hokies officially hold the longest active bowl streak in America with 26 straight bowl game appearances. The Hokies beat Virginia last month, which led to a conditional game with Marshall. After sealing the victory of 41-20, the Hokies will officially keep playing in the postseason. Graphic from Virginia Tech Football Twitter. The Florida State Seminoles have appeared in bowl games for the last 36 consecutive seasons, but their streak ended after losing to Florida. That puts Virginia Tech at the top of the list for active bowl game streaks. That’s the response Josep Bassaganya-Riera, chairman and CEO of Landos Biopharma, which produces first-in-class oral therapeutics for autoimmune disorders, says he typically gets when he pitches his Blacksburg, Va.-based biotech to investors in hot spots like San Francisco and New York. But Bassaganya-Riera, who grew up in Europe and has lived in various places around the world, wouldn’t think about headquartering his company anywhere else. “There are beautiful mountains and it’s a great place to raise a family,” he says. 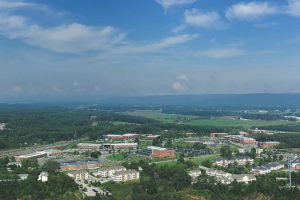 The area, surrounded by lush green valleys and sky-high mountain peaks, is also home to what some might call the region’s secret weapon when it comes to many industries, especially biotech: Virginia Tech, where Bassaganya-Riera is the director of the Nutritional Immunology and Molecular Medicine Laboratory at the school’s Biocomplexity Institute. If you consider the university’s long history of standout engineering and science-related student programs in human and animal health, add in the abundance of resources being made available to professors and students to commercialize research, as well as the cultural collision of the data and science worlds, you have a breeding ground for biotech innovation. Without the correct ecosystem, however, it could all be lost. That’s where the Virginia Tech Corporate Research Center (VTCRC) comes into play. The 230-acre park is located adjacent to the Virginia Tech campus and within close proximity to Route 81, a main thoroughfare that makes desirable healthcare-related cities in North Carolina, as well as the nation’s capital, just hours away. Created in July of 1985, the first building was completed in 1988, and is now home to 33 single-and multi-tenant structures. An expansion on the northwest side of the park provides enough land to construct 16 additional buildings. 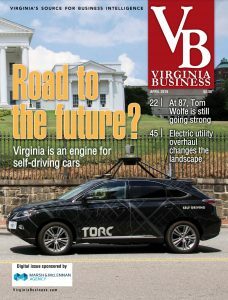 VTCRC is a for-profit, wholly-owned, private subsidiary of the Virginia Tech Foundation. 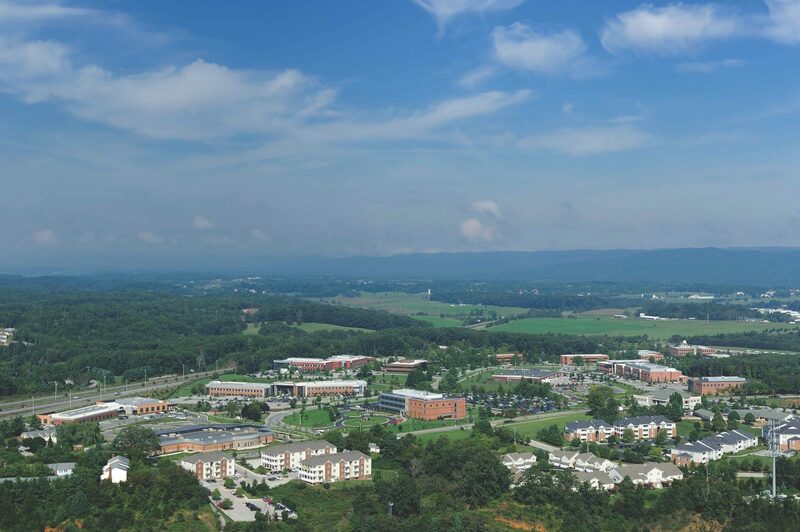 The center has the ability to work closely with the university’s teaching mission by identifying opportunities for classes to use VTCRC and its companies for projects, special studies, internships, cooperative education experiences, and on-site instruction. VTCRC also assists with university research programs and initiatives that facilitate economic development activities throughout the university by matching the needs of VTCRC businesses, facilities, and programs with the research and professional capabilities of Virginia Tech, helping to increase the level of industry-sponsored research at the school. Much of the credit for the research park’s success is given to Joe Meredith, president and CEO of VTCRC. He, and his staff, work closely with each of the businesses to provide as many resources as possible. In fact, one of the most touted attributes mentioned during a recent media day event was VTCRC’s flexibility, especially when it comes to space, whether it be wet lab or office space. Meredith is known to “tear up leases” and start from scratch to help companies adjust to their needs and keep them in the VTCRC, according to a number of entrepreneurs Pharm Exec spoke with. Many of the businesses located in the park have roots that trace back to Virginia Tech, such as CELLINK, a 3D bioprinting company; CytoRecovery, a licensed technology that enables the recovery and testing of subpopulations of cancer cells in tumor biopsies; and TechLab, a full-service in vitrodiagnostic product manufacturer. The fact these companies have been encouraged to stay local has had a direct impact on the economic development in the region by helping to keep talent in the area and also recruit new talent to the region. Rob Day, chief operations officer of Blacksburg-based TechLab, is a prime example. Day, who has been with the medical diagnostics company since 2000, grew up about an hour from VTCRC, and was faced with a tough choice when he first entered the workforce—leave the region for a job in his field or do something completely different. Southwest Virginia is visually about as far away from Kendall Square as you can get, and the people who live and work there are okay with that. In fact, area business development leaders are very transparent that the type of C-suite level executive you find in Blacksburg or the New River Valley would likely not be happy long-term in a San Francisco or Boston lifestyle. The region gives those executives looking for a better quality of life access to world-class talent in a place they can do business without making a compromise. It’s why, no matter the pushback he may initially get from investors, Bassaganya-Riera has no plans of moving his biotech, especially in the early years. “When a company starts out they are usually in bootstrapping mode and budgets are lean,” he says, a consideration that also makes southwest Virginia an appealing location due to its much lower costs to rent and buy space compared to Boston, for example. Bassaganya-Riera finds that fundraising and networking is not impeded by being outside of the major biotech hubs, and that current-day technology allows him to bring and supply the resources he needs virtually. But not everyone shares his opinion. Ed Champion, president of Roanoke-based Altede, a biotech whose work centers around food allergy-testing technology that was developed at Virginia Tech, and others toldPharm Execthat raising capital is an issue for them, because it is the one missing piece of the biotech ecosystem puzzle. Local economic leaders, such as Brian Hamilton, economic development director for the Montgomery County Economic Development, and Charlie Jewell, executive director of Onward New River Valley, both acknowledge that the southwest Virginia area doesn’t have the same financial ecosystem for biopharma companies as it does for technology companies, but that it can be looked at as a chicken and egg situation. As biotech companies become successful and are acquired, it will naturally create a financial ecosystem as the founders decide to invest in other local companies. VIRGINIA’S NEW RIVER VALLEY – Locals know how rowdy Lane Stadium gets, but the news has gotten out. The Virginia Tech Hokies stadium entrance to Metallica’s Enter Sandman was ranked the #1 Most Electric Entrance in College Football by Fanbuzz. Other universities mentioned include Miami, South Carolina, and Clemson, but Virginia Tech took home the number one spot. To see the full ranking, visit Fanbuzz. VIRGINIA’S NEW RIVER VALLEY – The NRV’s new bike share program, Roam NRV, has officially launched. Powered by Gotcha, the bikes are located in Blacksburg and Christiansburg and on the Virginia Tech Campus. Bikes can be found at “hubs,” which are detailed on the Roam NRV website. According to the Roanoke Times, there is consideration to expand the program in the future. Some of the hubs may also change location depending on use or the potential for businesses to sponsor them. Riders can reserve bikes through the Social Bicycles (SoBi) mobile app for Apple and Android. For more information visit the Roam NRV website and start roaming the NRV today! 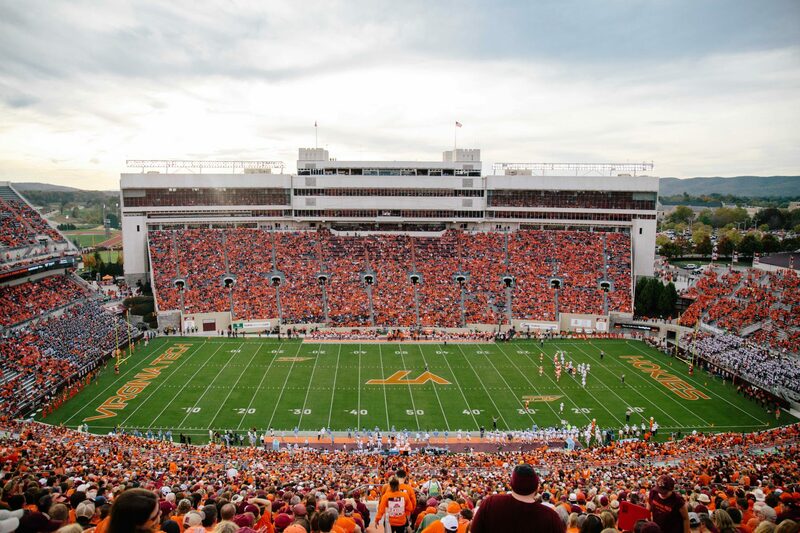 BLACKSBURG, VA – Virginia Tech was named the #15 Best College Tailgate in the U.S. by INSIDER with the help of Scott Backstrom, founder of Tailgate Master. 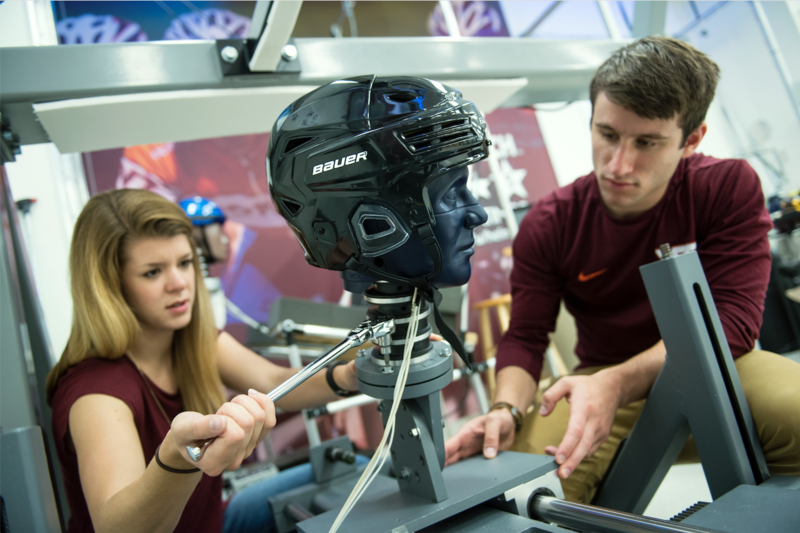 NEW RIVER VALLEY, VA – The Virginia Tech Corporate Research Center (VTCRC), located in Blacksburg, VA and adjacent to Virginia Tech, is hosting the first-ever VIP Media Day on Sept. 18, 2018. The purpose of the VIP media junket is to provide a way for local, regional, and national media outlets to learn more about the VTCRC, local companies, Blacksburg, Montgomery County, and the rest of Virginia’s New River Valley. Many of the companies in the VTCRC have a global footprint and a lot to offer the region. “It is our goal that invited media will be paired with companies whose research and development interests them the most. 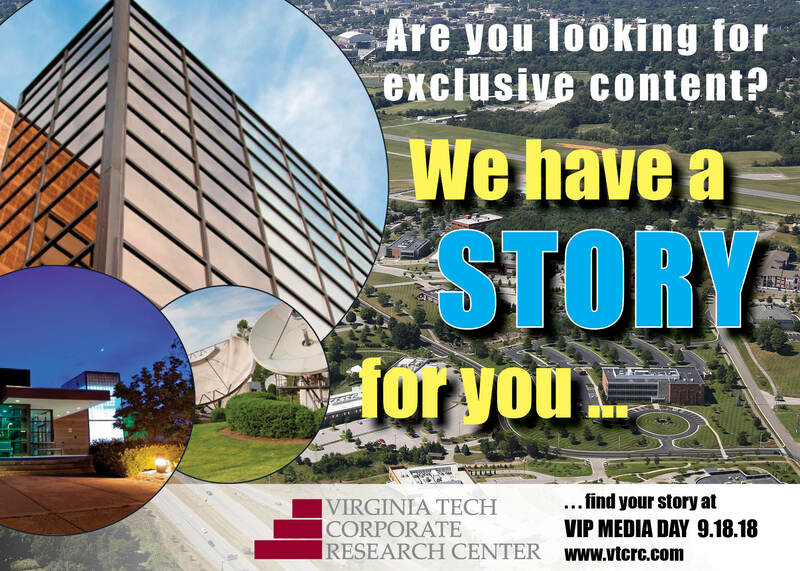 Media will leave with exclusive content and expert contacts for future editorials, videos, blogs, etc.” said Dr. Joe Meredith, VTCRC President & CEO. VIP Media Day will help with recruiting efforts for the VTCRC and participating companies and organization, which will help make a positive impact regionally. Part of the programming will allow the VIP guests and media to participate in a complimentary flyover of the research park and the Virginia Tech campus. For questions, or to submit credentials and obtain a press pass, contact Melissa Vidmar at melissa.vidmar@vtcrc.com. Additional details can be found at www.vtcrc.com/events/2018vipmediaday.